Multiple Teams · Feb 19 Watch the UIL Wrestling Championships LIVE! 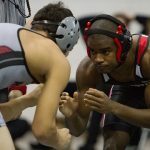 Watch the UIL Wrestling Championships LIVE on the NFHSNetwork.com Can’t be there? You can still watch the action LIVE on the NFHS Network TODAY (2/19/16) at 8:30 a.m. CST. Events will also be available for viewing on demand. 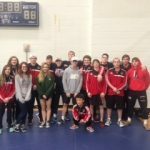 Multiple Teams · Feb 14 Lovejoy Wrestling places 7 at Regional Championship, 4 automatic state qualifiers! Multiple Teams · Feb 5 Lovejoy Men’s Wrestling Finished Runner-up in tough District 9-5A Championship! 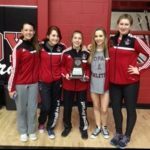 Multiple Teams · Feb 5 Lovejoy Women’s Wrestling Finishes Runner-up in District Championship! Multiple Teams · Jan 30 Lovejoy men’s wrestling sweeps last two regular season duals versus LD Bell, Prosper! The varsity men’s wrestling team closed out the regular season with two more dual wins to push its record to 13-5 overall. The Leopards faced LD Bell in their first dual, defeating the 6A school by a final of 55-12. 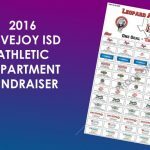 Lovejoy racked up 12 wins in the 14 matches, dominating most matches along the way. 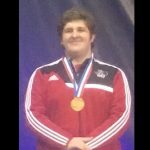 Multiple Teams · Jan 30 Willow Springs Men’s Wrestling Places 4 at the State Championship! 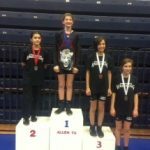 Multiple Teams · Jan 30 Willow Springs Women’s wrestling dominant at State Championships! Multiple Teams · Jan 28 Wrestling falls short versus Rockwall Heath in close dual, 39-31.